Bought a Single Family home in 2018 in Princess Anne Plaza, Virginia Beach, VA.
Bought a Single Family home in 2017 in The North End, Virginia Beach, VA.
"We chose Tim to represent us as buyers. We knew of his great reputation and honesty. He worked diligently to find the right place for us. He fine tuned our search by eliminating less desirable properties and focusing on our likes and needs. I was thankful to have him help me with the detailed walk thru after our bid was accepted. Tim even helped with suggestions for updating the kitchen. We highly recommend Tim Thornton for your real estate search. Tim guided us through the closing and with the back and forth negotiations that clinched our deal. Thanks Tim and Berkshire Hathaway HomeServices Towne Realty." Bought a Single Family home in 2017 in Great Neck, Virginia Beach, VA.
"Tim was very knowledgeable about everything through the whole process. He would always respnd back immediatley with any questions we had and he made us feel like we were his only client even though he has other business to take care of. Great experience with Tim as our realtor." Bought a Single Family home in 2016 in Great Bridge East, Chesapeake, VA.
"Last summer, my wife and I decided to buy a home in Hampton Roads. We were moving from out-of-state, and had only a few contacts in the area - so, home hunting was a daunting task. Our distance, purchase timeline (and my own trust deficit of real estate agents) was further complicating the situation. I was optimistic, but still cautious when we were referred by a colleague/friend to Tim Thornton, at Berkshire Hathaway Home Services. Over weeks and months of searching for 'our' house, Tim was a steady, professional guide. He worked with us via email and phone, listening to our own 'wants and needs' while sorting through hundreds of property listings - all while we were still in Massachusetts. Tim really pulled out the stops when we arrived in Virginia for our first 'boots on ground' house tours. He planned a clockwork two day house tour itinerary, complete with information binders with tabs for each home we would see. He was by our side non-stop for 2 days. It was IMPRESSIVE; I had never seen anybody in real estate make that kind of effort - let alone for a guy he had only spoken to on the phone. When we finally found our house, it had gone under agreement with another buyer earlier that day. Tim got me in for a tour anyways - and I fell in love with the house and neighborhood. We placed a back-up offer that night (around 930pm) which was accepted! And now the real work began... He continued to advocate very effectively for us through the inspection, negotiation and closing. I honestly feel that he earned every cent of his commission, and represented us with no failings (even though his newborn son was also competing for his attention during this process!) If you are shopping for a home in the Virginia Beach area, Tim deserves your consideration. I can't say enough good things about him ! (and I used to hate Realtors!)" Sold a Townhouse home in 2017 in Great Neck, Virginia Beach, VA.
"Tim did an AMAZING job getting my house sold in record time. As I had moved out of state, he arranged EVERYTHING. It was a total stress free experience!!" Sold a Single Family home in 2017 in Thalia, Virginia Beach, VA.
"Tim Thornton "did his homework"! He knew the homes that were comparable to ours, going through each room to show similarities and differences. Tim has a list of professionals for each part of the home. We had some professionals, like our electrician, with whom we were very happy, but when we needed assistance to find a roofer, plumber or painter, Tim gave us names. The people on his list were always knowledgeable, professional and their prices were fair. If we couldn't be at the house to let a worker in, Tim would go to the house and stay until his professional was finished. Tim wanted the best for us and we felt he worked very hard for us. We will recommend Tim to our friends." Bought a Townhouse home in 2017 in Princess Anne, Virginia Beach, VA.
"Our experience with Tim was nothing short of amazing. As first time homebuyers, we were new to the whole process and nervous, but Tim got us through each step of the process easily. He was so readily available at anytime to answer texts and any questions we may have had. He made the experience personal and enjoyable. He made us feel like his only clients, even though we weren't buying an expensive home. Anyone would be lucky to have Tim as their realtor!" Sold a Single Family home in 2017 in Bromley, Norfolk, VA.
"My wife and I were first time homeowners in Norfolk, VA. We had not planned to sell our home, but when we needed to do so, a good friend highly recommended Tim Thornton. From the very first meeting, Tim clearly and accurately laid out for us the process and options for the home sale. He knew well those people we would need to be in contact with and all of the legal procedures and paperwork involved. He clarified for us anything that happened during the process that was of concern. Though it was a seller's market, it turned out houses similar to ours had sold for a lower price than we were hoping for. Tim clearly explained our option and possible scenarios if we decided to go higher than the area market or meet the market average. Once we made the decision, Time made certain the house had the best possible listing. Once the house listed, we had an offer from a buyer for the price we were asking within less than five days! We were very happy about the selling process and the results of the sale. We strongly recommend Tim Thornton as a realtor to work with if you want to buy or sell a home." Sold a Single Family home in 2017 in Magruder Area, Hampton, VA.
"Tim went above and beyond to sell my house! I moved to another state & Tum took care of all of the necessary issues to ensure my house would sell & get a fair price. He worked diligently to save me money and has amazing negotiation skills. Tim did all of this work with a smile on his face! I would 100% recommend him to anyone buying/selling a home! He was fantastic!" Bought a Single Family home in 2017 in Mears Corner, Virginia Beach, VA.
"Tim was there every step of the way no matter what day or time it was. Tim not only was knowledgeable about the home but also repairs and upgrades we wanted to add. There was no question that went unanswered or detail that was left out. He made this a easy and stress free process. For that me and my wife are thankful." Bought a Single Family home in 2016 in Kempsville, Virginia Beach, VA.
"I was so fortunate to have Tim as my realtor. When making such a large decision, I wanted to work with someone that I could trust. Tim was there every step of the way. He always answered every call or email no matter what time of day or night it was. His professionalism, knowledge, honesty, and hard work ethic were much respected and appreciated. I never felt that he was just trying to sell me a house, but that he was a mentor to answer my questions and help me to make the best decision for my family. I purchased my first house and with his help, he made me feel comfortable through the whole process. He went above and beyond and exceed all expectations." "We had a great experience with Tim as our realtor. He went above and beyond to help us find our perfect home. We found Tim through a referral after our first realtor fell through. He picked up the pieces for us and guided us through the home buying process." Bought a home in 2017 in US Navy Little Creek Amphibious Base, Virginia Beach, VA 23518. "Tim helped us find a home to relocate to. He is very knowledgeable of the local real estate market and specific neighborhoods, as well as local, state and federal regulations and requirements. He is knowledgeable, responsive and assertive, and made sure we were always well represented throughout the home buying process. When we purchased our home, he kept us updated, usually on a daily basis, of progress on negotiations, as was always there to represent our interests in all aspects of the process. I would highly recommend Tim. He exceeded our expectations." Bought a home in 2016 in US Navy Little Creek Amphibious Base, Virginia Beach, VA 23518. "We met Tim at an open house and were impressed with his knowledge and honesty about the property for sale. Our experiences with real estate agents have been both good and bad. We were interested in finding a buyers agent, but very leary about the process. Agents in the past have showed us properties outside our price range, wasted our time with properties that did not meet our criteria, and took actions on our behalf that were not in our best interest. We both liked Tim; felt like he was a very authentic person and decided to ask him to be our buyers agent. He spent a great deal of time insuring that we understood his contract and he continued to dedicate his valuable time to us on every step of our buying process. I cannot think of a single time when he was not proactive and responsive. His services have been invaluable and we would not hesitate to work with him again. We are now enjoying our beautiful new home at East Beach and we have Tim to thank for helping us navigate the process." Sold a Single Family home in 2016 in Great Neck, Virginia Beach, VA.
"Tim was able tackle many unforeseen issues for me, which was a Godsend, for I'm up in Arlington not ,Va Beach.. I put all my trust in Tim to get thing done with no worries. His commmunication is always up front and to the point, he got my home sold in less than a month!! His hard work has abled me to to have a very low stress time.. A consummate professional." 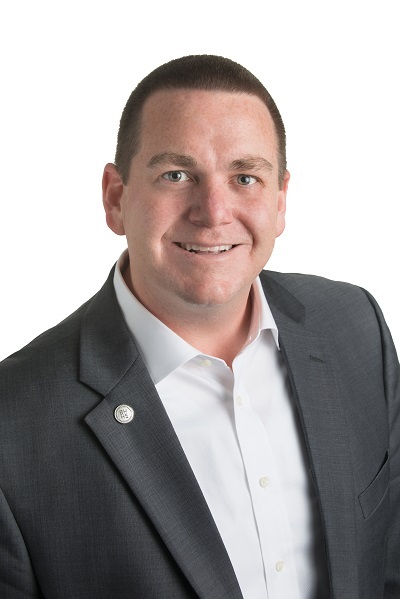 Bought a Single Family home in 2015 in Thoroughgood, Virginia Beach, VA.
"Tim Thornton is a consummate professional who keeps his clients top of mind. Tim is an affable, engaging and committed professional, who works tirelessly to build a true partnership with his clients. I also appreciated Tim's in depth expertise through our home buying process. He is one of the best realtors I've met and I would highly recommend him!" Bought a Single Family home in 2016 in Princess Anne, Virginia Beach, VA.
"Tim took me through the entire process of first time home buying. Tim was honest above all else and I beleieve he had my best interests at heart and was my advocate the whole way through."